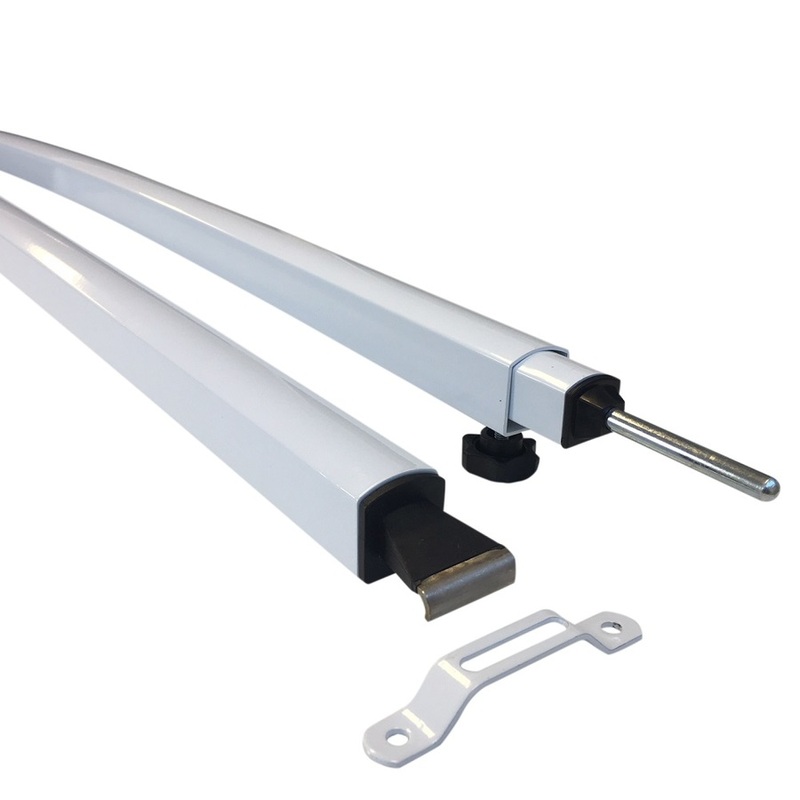 Supex produces Australia's most popular curved rafters for roll out awnings, and new to the market is Series 3 of their ever improving flagship product. 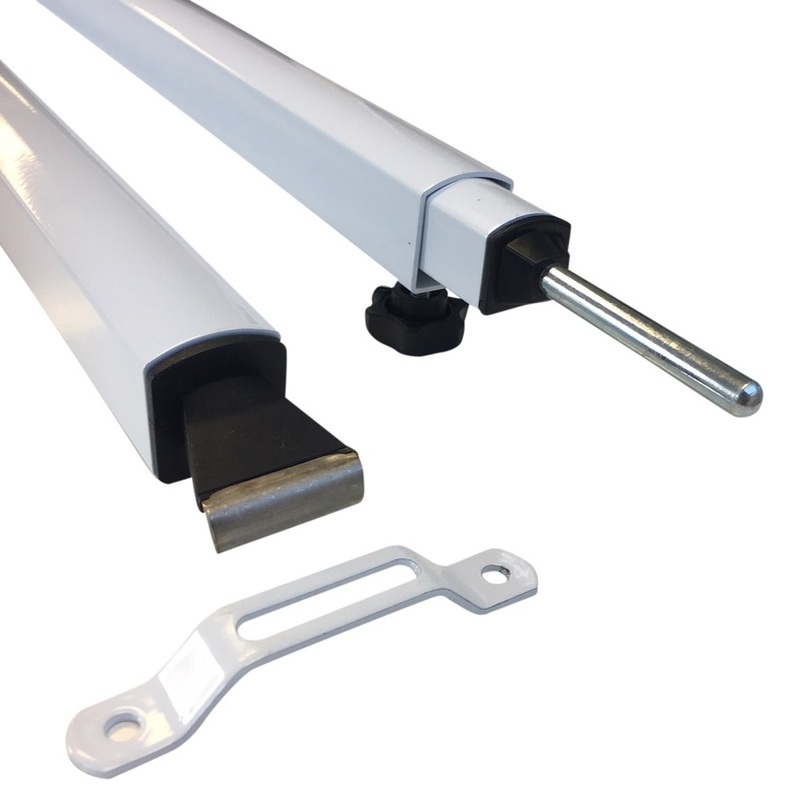 New for Version 3.0 is the Stainless Steel & Glass Filled Nylon moulded rail end (which inserts into the bracket provided). 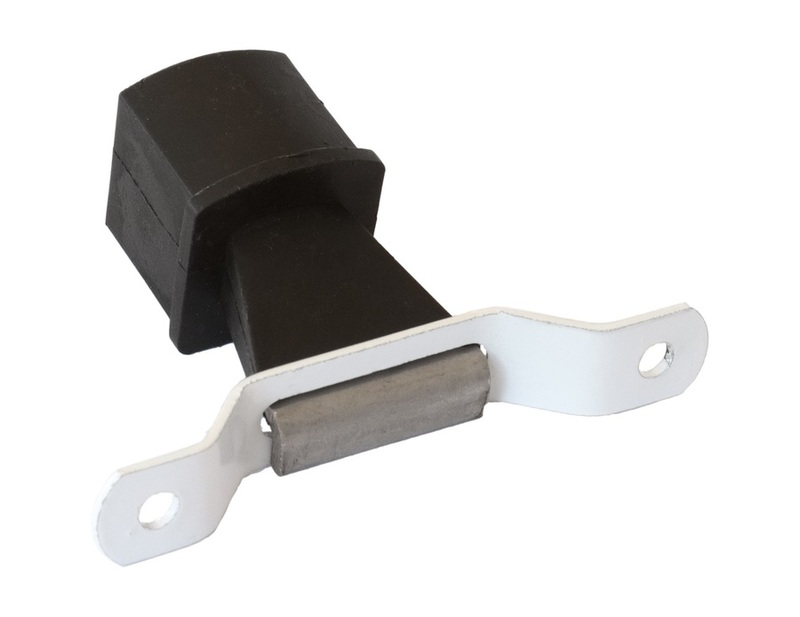 This significantly increases the strength of the most vunerable part of the rafter while also reducing rattling noise in windy conditions. Also added is a hexagonal moulded knob insert which stops the screw part of the knob coming loose if the seal with the plastic breaks. 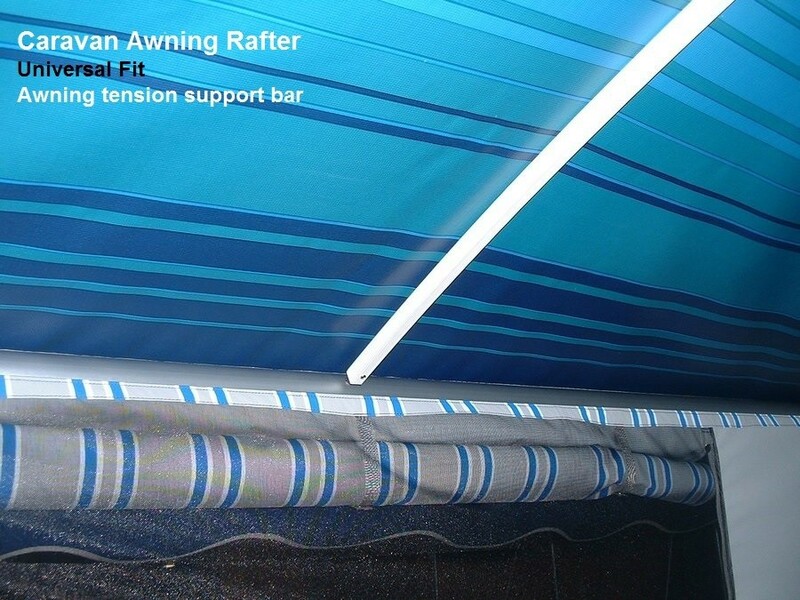 Suitable for most caravan and RV roll out awnings including Sunburst, Carefree, Dometic and A&E, Supex curved roof rafters are used to keep the vinyl roof from sagging, ensuring 100% water run-off as well as keeping the fabric tight and reducing wind flap. 1. Wind Flapping. 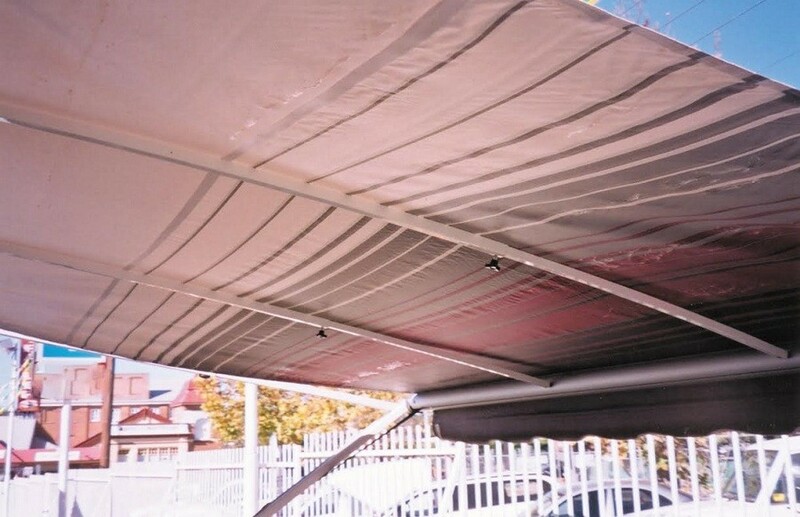 Wind flapping in the awning causes the caravan to shake which can lead to restless sleep plus cause damage to the awning, frameset, roller and fabric. 2. Water Pooling. Water pooling is a common cause of awning damage. Some images show 2 rafters for illustration purposes only. 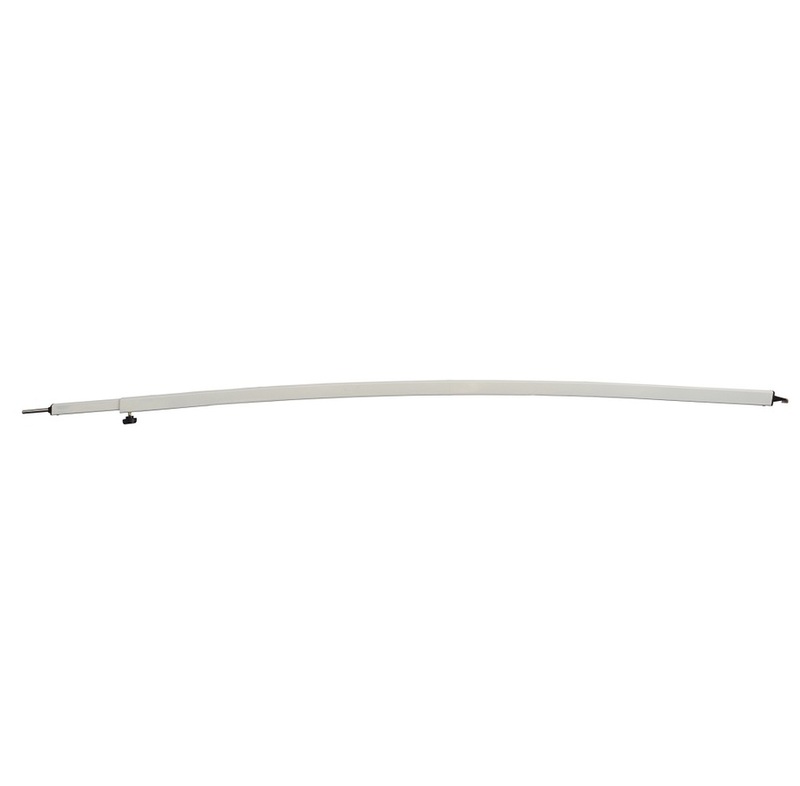 Please note this listing is for 1x curved awning rafter. Product is very well made and does a great job. Not too curved to stretch the awning. Excellent service from Campsmart and very quick delivery. These rafters are easy to use and feel very secure. They are well-made and light but strong.